Here at Health Care Family Credit Union, we believe in supporting the community and helping local businesses flourish. Join us in our important goal by shopping local on Small Business Saturday and throughout the holiday season. The money you spend at local retailers goes back to your community. When you support these small businesses, you enable them to grow, thus creating more jobs and helping the local economy thrive. When you spend your money at local retailers, approximately $68 of every $100 spent will be reinvested into your community. That money will go toward better schools, libraries and parks—in your own neighborhood. Keep the spirit of America alive by supporting the American Dream: Anyone can start a business and keep it thriving. 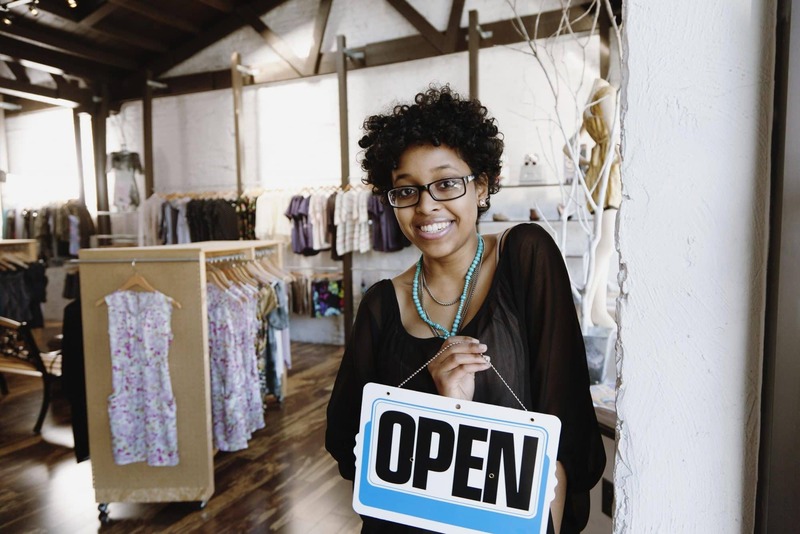 When you shop local, you’re showing support for the entrepreneurs in your community, those folks who were brave enough to strike out on their own. Small businesses play a big part in supporting community causes and charities. When you shop local, you’re enabling these businesses to continue giving their support. This Small Business Saturday, celebrate your community! Spend a delightful afternoon browsing through local shops and talking with customers and small business owners. You’ll reconnect with your community, support its businesses and rediscover what makes it thrive. Skip the overrated, mass-produced items this holiday season and find gifts at local stores. You’ll find an entire array of truly unique and durable items that will be perfect for everyone on your list. Sure, we need those mainstream retailers, but it’s the small businesses that keep the community colorful. They’re the ones running quirky marketing campaigns and hosting online contests that have the entire town buzzing. And where else can you go and have Heavy Metal Brunch? What better way to try out the latest haunts in town than by spending the day shopping local small businesses? It’s a fantastically fun way to kick off your holiday shopping!